Winter stoneflies have been scrambling everywhere around our riverside home the last few weeks. If we had any snow, the stoneflies would be scrambling over the snow just like they scramble over everything else. 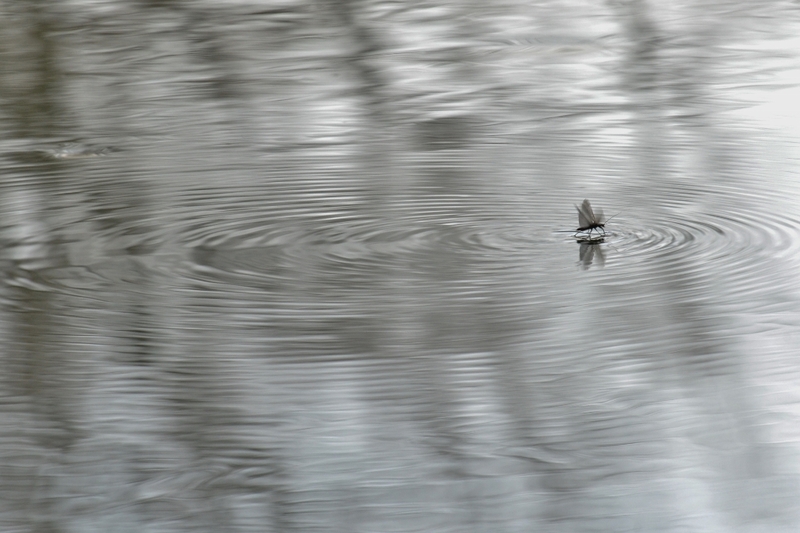 Winter stoneflies can fly. Every so often, the stoneflies can be seen flying around rather clumsily... even flying around the lights in the house. 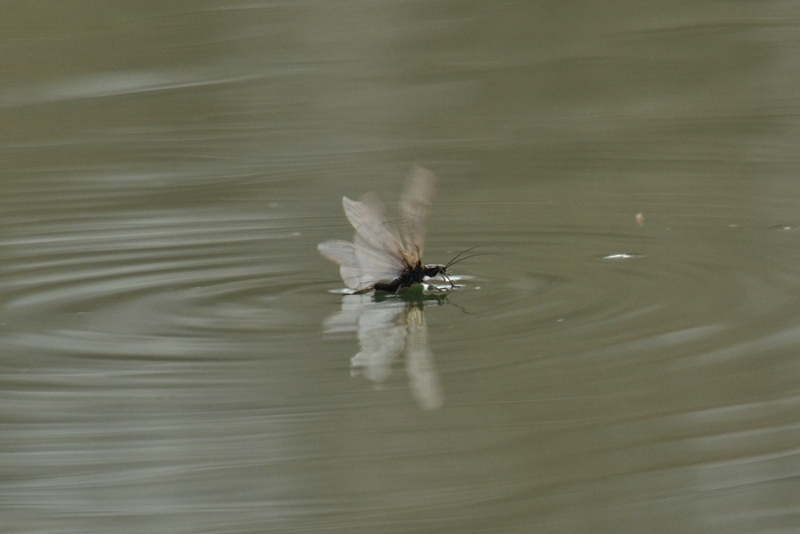 Mostly though, it seems the stoneflies use their wings to fan themselves across the water. 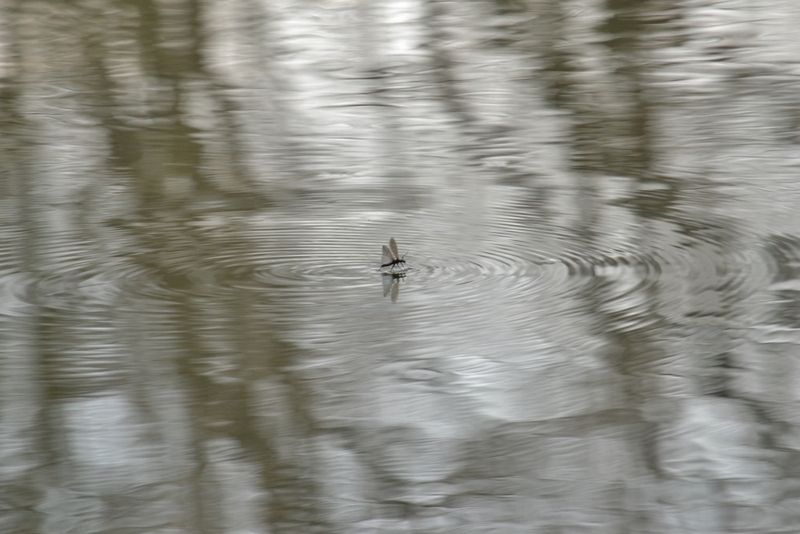 We appreciate the sight of the winter stoneflies surface-skimming on the river. The stoneflies flutter their wings and "ski" across the water's surface as if they were fan-boats or taxiing float-planes. The stoneflies' method of aerodynamic locomotion is fascinating. 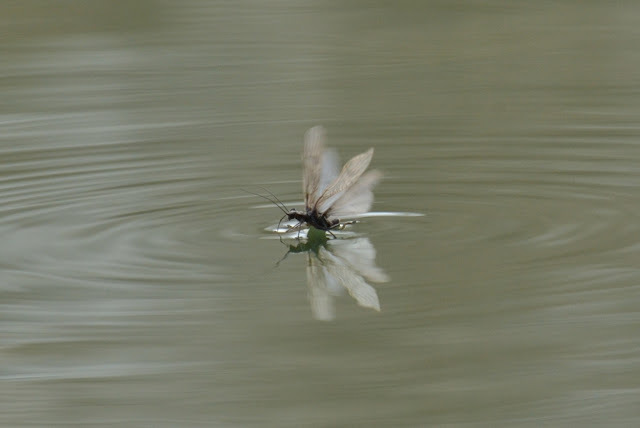 Photos of the surface skimming stoneflies capture only part of the experience... watch this video of a stonefly skimming across the water (plays at 1/2 speed). Doesn't watching the "skiing" stoneflies remind you of watching float planes taxi up to shore? 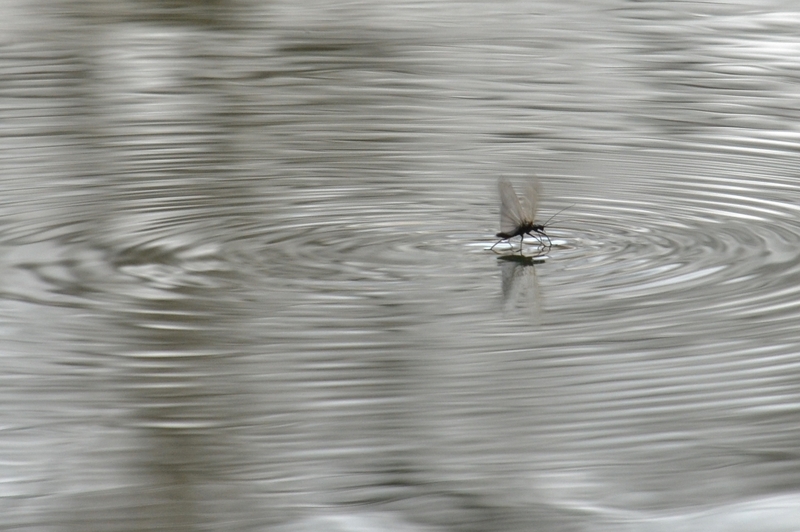 Surface-skimming stoneflies are a unique thing to see... doubly so, because there are few other insects flying around in late winter in Pennsylvania. For the last few weeks the "skiing" stoneflies have been a common sight on the river as they (ones that ended up on the water) try to get to shore. 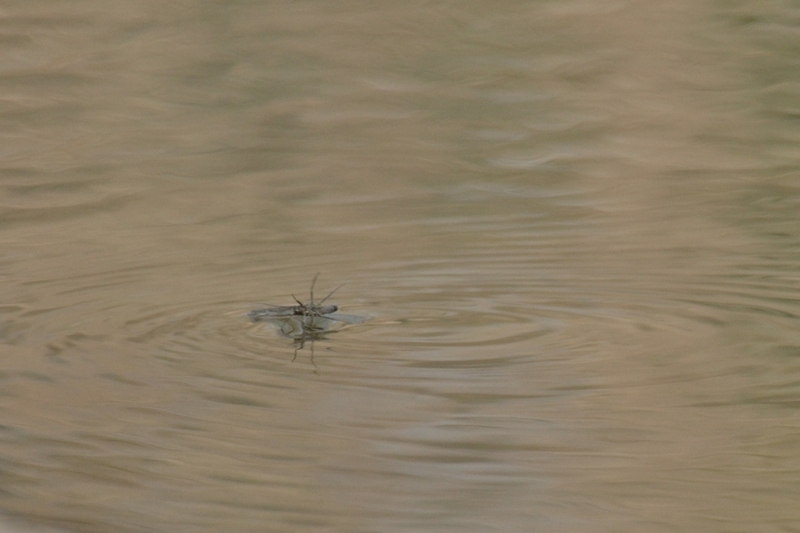 As I mentioned earlier, stoneflies are rather clumsy fliers... their skimming is haphazard and clumsy as well. Despite numerous accidents and much aimless zooming around on the water, many of the stoneflies use their "powered-skiing" method to good advantage and end up at the shore where they can do what they do best... scramble. 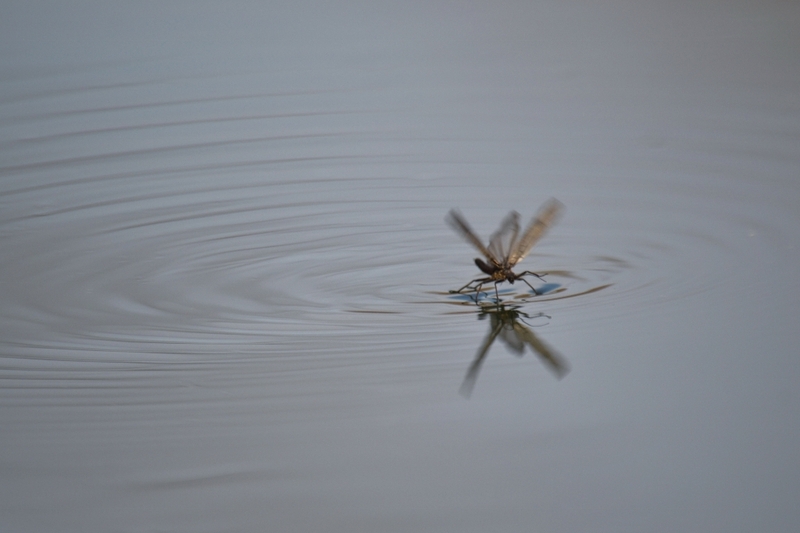 Sometimes the stoneflies try to scramble on the water but it doesn't work very well. Eventually they put forth the effort to flap their wings and, well, if they are aiming in the right direction, they come "motoring" in to shore. Next we will look at the "stoneflies hatching".